If we take the whole New Testament in context it is astonishing to realise that Jesus and the Apostles used eternal rewards as the means of encouraging believers. Mostly to help them endure hardship, persevere through trials and suffering and patiently hold on to their faith in the face of persecution whilst looking forward to the glorious appearing of their King. 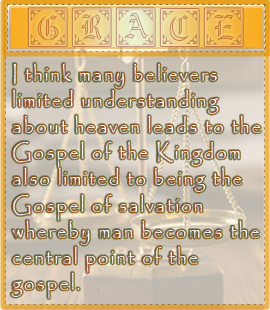 This is as much as some believers know and understands about heaven, which I think also leads to the next problem, being the Gospel of the Kingdom is limited to being the Gospel of salvation whereby we (man) become the central point of the gospel. Jesus Christ came to save us from our sins for that I say a BIG AMEN, however we tend to spend the rest of our earthly lives ‘living saved’ as we build our lives, family, businesses, churches and ministries on an earthly perspective because we do not know much about the life in the age to come and we easily forget that we were not just saved from something (sin) or someplace (hell) but ultimately saved unto someone (God) and His Kingdom. So I guess it is not that surprising that Jesus and the apostles used eternal reward as an encouragement because that’s what we were saved for. The King and His Kingdom are the rewards. The Christian faith is a message (Gospel) of Hope of the Kingdom (i.e. the King and His domain). The good news of the Kingdom at it’s basics goes something like, God’s intended purpose for humanity and the earth has finally come, for He (The Father) has been pleased to share His ‘heart’ and His ‘throne’ with humanity. The Hope lies in the fact that the Kingdom is not fully here yet and it won’t be until the King comes back and joins His domain (heaven) with earth. But until then we do have a taste of that Kingdom – salvation, peace, healing, deliverance, the miraculous, prophesy, etc. This is the way of rewards: Jesus is the reward. Every one of the rewards Jesus gives at the end of the age has to do with Himself (i.e. close proximity to Him) and His Kingdom authority (authority in ruling with Him). Take Jesus’ word for it, you really, really want the rewards He is willing to give because you are actually made for them. The truth is you already long for the rewards because if you’re a disciple of Christ then the one thing you desire (or should I say ought to desire) more than anything is to intimately know Jesus (closeness to Him) and be mightily used by Him (power and authority to serve). This is the yearning hope of every believer; the HOPE of our FAITH. We do not fully have it (Him) yet but will do when He finally returns to reward us with himself. It’s really not that complicated, right? For those who love one liners; here is one for you to help you grasp this concept: The HOPE of our FAITH is LOVE. FAITH is our belief in the Gospel of the Kingdom (i.e. The King and His domain). HOPE is our longing or eager anticipation for the Kingdom. LOVE is our reward or inheritance of the Kingdom because God (Jesus) is love. 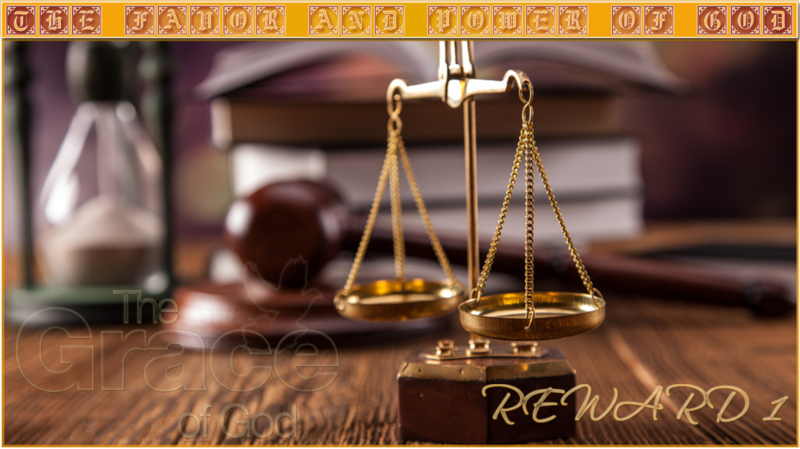 The way of rewards – God the Father and His Christ are our inheritance (reward). Take a break & SELAH. When you’re ready CLICK HERE TO CONTINUE.